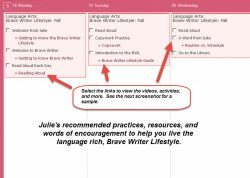 For Julie Bogart, Brave Writer is not just a writing curriculum, but a nurturing way of living and relating to your children in a language rich environment. 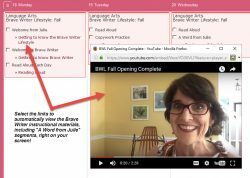 In these unique lesson plans attuned to the seasons, you get Julie's daily, recommended lifestyle activities, pop-up videos by Julie , and an abundance of teaching tips and words of encouragement. 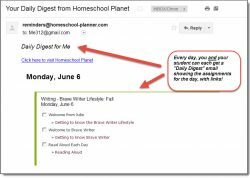 With each lesson plan, you get 65 days of activities that will foster a loving, language-rich life style for you and your children. 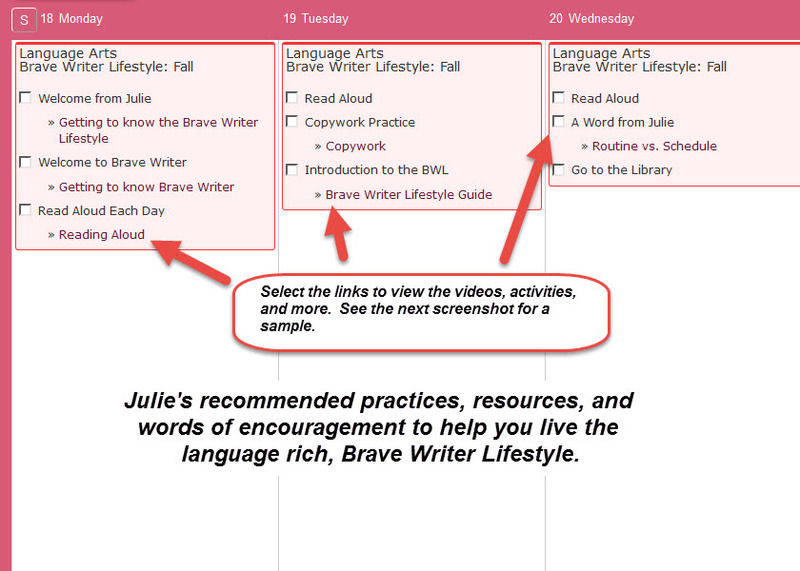 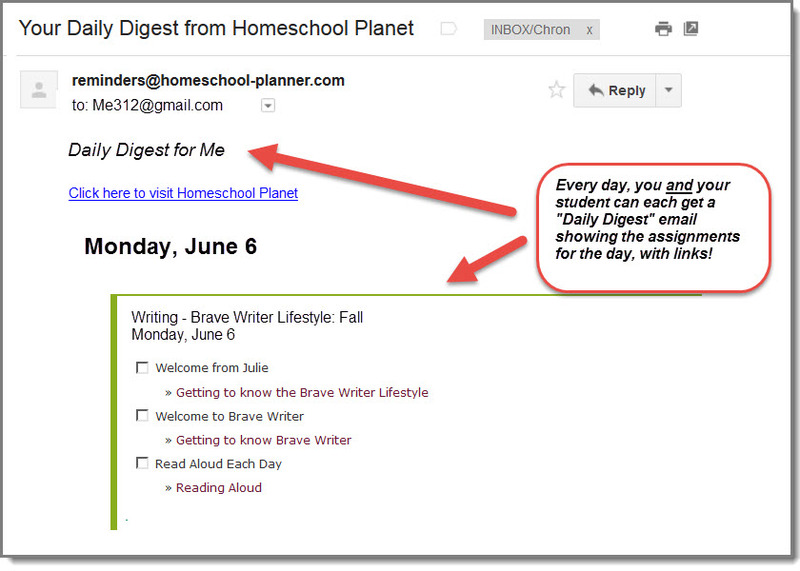 One-click access to pop-up videos by Julie, and her blog posts, articles, practice tips, and more. 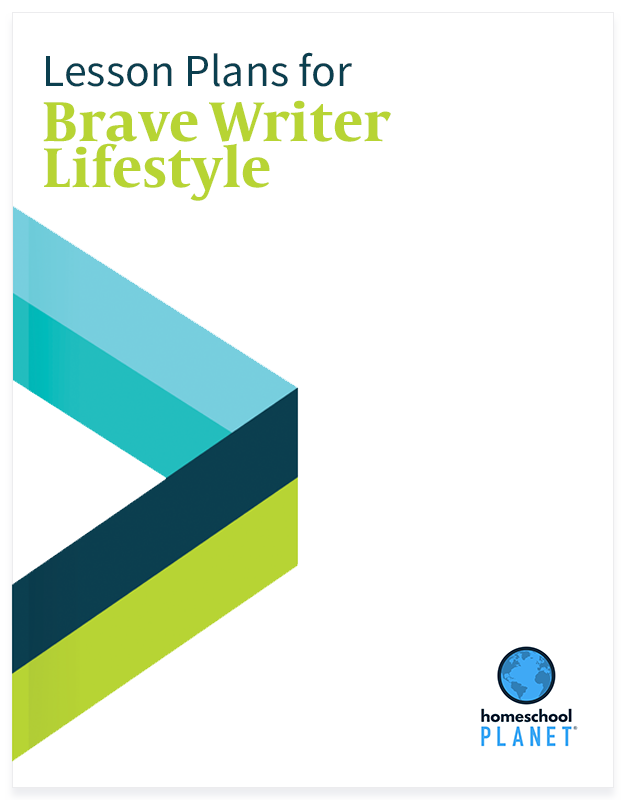 Check boxes for you to check off as you complete the activities, giving you a permanent record of your progress in the Brave Write Lifestyle. 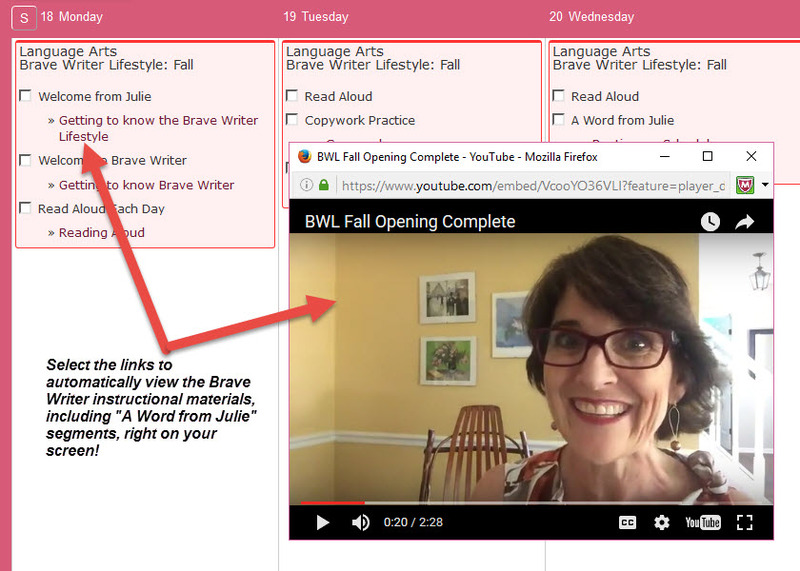 Lesson plan bundle includes ALL 5 Brave Writer lesson plans.